Updated 5:47 p.m. | Posted 3:18 p.m.
Last December, the Obama administration refused to renew mineral leases crucial to Twin Metals Minnesota's efforts to build a huge underground copper-nickel mine near Ely and the Boundary Waters, all but killing the plan. On Friday, however, the Trump administration reversed that decision, paving the way for Twin Metals to get its leases back and resurrecting the effort to build the controversial mine. An opinion published Friday by a top attorney at the U.S. Interior Department concludes the federal Bureau of Land Management erred last year when it concluded that BLM had the power to grant or deny the Twin Metals lease renewals. The reversal means the BLM and the U.S. Forest Service must reconsider Twin Metals' 2012 lease renewal application. Last December, Twin Metals called the Obama agencies' decision to not renew the leases a devastating blow to the future economic vitality of northeast Minnesota. Twin Metals also filed a federal lawsuit to try to invalidate the Obama decision, but late Friday the company said it was no longer pursuing legal action against the federal government. "The [Friday] decision is an important first step to ensure the certainty of investments in U.S. mining projects and to reaffirm long-standing property rights and the rule of law," a statement released by Twin Metals said. The company has projected the mine could create 650 jobs and operate for at least 30 years. While the plan has won support among local officials who see the mine as job creator and economy booster, critics say the potential for an environmental disaster so close to the Boundary Waters outweighs the economic benefits. 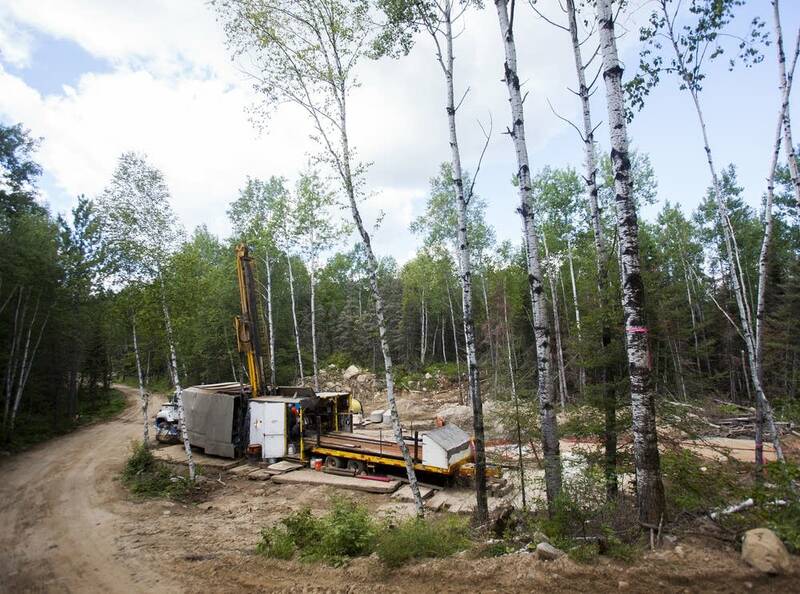 Friday's opinion will allow the proposed Twin Metals project to continue to move forward, although many obstacles remain. The U.S. Forest Service has launched a two-year study of the environmental and economic risks and benefits of copper-nickel mining in the watershed of the Boundary Waters. The agency has also proposed, essentially, a mining moratorium, a step that would need to be approved by the Interior secretary after the study is completed. If Twin Metals gets its leases back, it would be exempt from any new moratorium that might be imposed. Earlier this year, Agriculture Secretary Sonny Perdue pledged that process would proceed. This legal opinion from the Interior Department does not appear to affect it. Still, state lawmakers who support the mine applauded the Friday ruling. "It's refreshing to have an administration that understands the importance of mining to Minnesota and the entire United States," Minnesota House Speaker Kurt Daudt, R-Zimmerman, said in a statement. "This move brings Minnesota one step closer to thousands of good-paying jobs and billions in revenue that will be a boon to Northeast Minnesota's economy," state Rep. Chris Swedzinski, R-Ghent, added in the statement. "We need government at every level to be a partner and referee rather than an adversary for job creating projects..."
Republican U.S. Rep. Tom Emmer applauded the decision Friday, saying it showed "a commitment to unwind the politically motivated actions by the previous administration and put Minnesota and the nation on a path to prosperity ... for generations to come." Gov. Mark Dayton on Friday ripped the Interior Department decision. "This shameful reversal by the Trump Administration shows that big corporate money and special interest influence now rule again in Republican-controlled Washington," Dayton said in a statement. The group Northeastern Minnesotans for Wilderness plans to sue to challenge the decision, said vice chair Becky Rom. She argued the government has the right to refuse to renew mineral leases that were originally granted in the 1960s without any environmental review. "This is just uncalled for, and creates a tremendous threat to the Boundary Waters," she said.